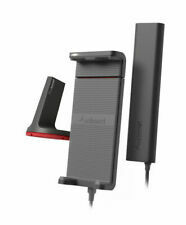 2 x Antenna Booster.Use this antenna booster to improve your device's signal strength, reducing static and dropped calls. 2 x Antenna Booster. 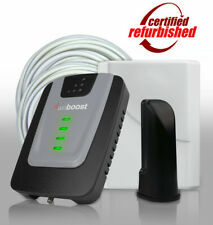 Boost device's signal strength. Compatible with Easy installation. 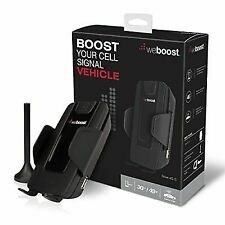 weBoost Drive 4G-M 470121 Cell Phone Signal Booster for Your Car & Truck – open box new condition Never been used Comes in generic box . Shipped with USPS Priority Mail. We are a SureCall Authorized Dealer and can customize a kit for you! RF Connector SMA Female. Input Impedance 50 ohm. Weight 7.2 oz. Active Working Life 2.5 hours. SureCall Signal Boosters. whether you have an iPhone or a Samsung Galaxy, SureCall amplifiers support any phone that runs CDMA, GSM, EVDO, LTE, HSPA and WCDMA technologies. SureCall is committed to continually developing new. 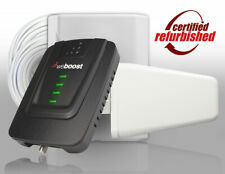 It is factory sealed with full weBoost USA warranty. (Phone not included). 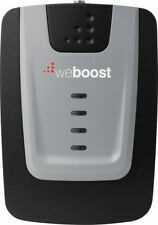 1 unit - weBoost 4G LTE Sleek phone si gnal booster (Phone not included). Built into the Sleek™ cradle is a Wilson bi-directional signal booster which amplifies signals to and from the cell tower and a battery charging port. 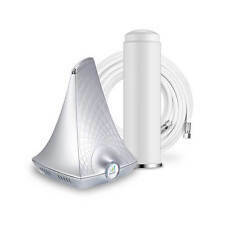 Cell Phone Signal Booster DB Pro 3G Cellular Amplifier WILSON ELECTRONICS 271265. Shipped with USPS Priority Mail. Wilson Electronics 463134 PRO 70 Signal Booster Kit From AUTHORIZED DEALER! 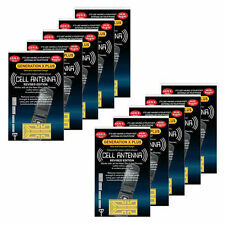 Premium Generation X Plus Antenna Booster 1,000 Premium Antenna Boosters. Improves your phone's signal strength. Certified with warranty. It boosts any carrier giving your staff the signal strength they need to communicate and stay connected with others on your team no matter their cellular provider. 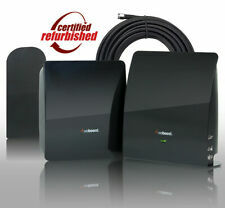 This kit uses a high performance NMO antenna, which REQUIRES PROFESSIONAL INSTALLATION. 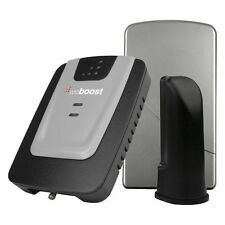 Wilson Electronics 463127 PRO 70 PLUS Signal Booster Kit From AUTHORIZED DEALER! 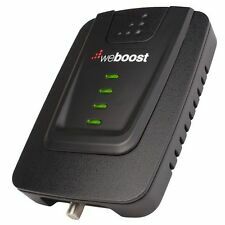 It features 70 dB of gain and maxed download power along with Wilson Electronic's patented signal boost technology. This results in 32X amplified signal, 30X coverage area, and 2X the number of simultaneous users when compared to other boosters. 10 Internal Antenna Signal Reception Booster for iPhone/Android Cell Phone HOT!